Mauro Icardi failed to seal his berth in Argentina’s squad for FIFA World Cup 2018 despite an impressive performance for Inter Milan that saw him score as many as 29 goals in the Serie A season. 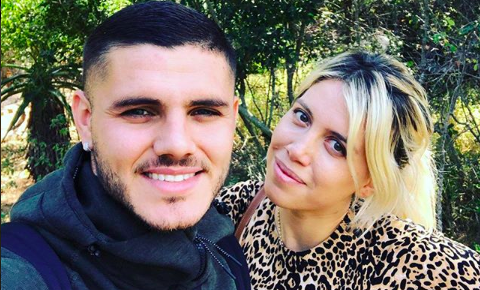 But rather than getting bogged down, the star forward decided to give his personal life some time as he whisked his wife Wanda Nara away to Africa for safari, where they enjoyed the sunsets in company of elephants. The couple later took to their official Instagram accounts to share a few pictures with their fans. Icardi showed off his funny side as well as he captured a couple of pictures of monkeys ‘invading’ their room while his wife took bath. “Invasion of monkeys to see my wife bathe,” he wrote the caption. Meanwhile, Icardi was recently linked with a transfer to Premier League giants Chelsea even as he has a contract with Inter Milan until 2021. Invasión de monos ???? para ver a mi mujer bañarse ???????? Buenos Dias Africa ✨ @wanda_icardi ??? ?